Well, a jumper for Teddy for Christmas, rather than a ‘Christmas Jumper’ for Teddy. Although, how sweet would it be for her to have a little Christmas jumper? Maybe next year! Back, to the jumper….I decided that it would be nice if Teddy (Charlotte’s Teddy) had a little present for Christmas. I tried and failed with a crochet hat (wrong pattern, wrong wool, wrong hook, wrong finished size) so settled on a little cardigan instead. I used the free Little Kina pattern that I found through Ravelry. Due to it’s size it was a super quick knit. It took longer to dry after a wash than it did to knit! Teddy shut her eyes for me when I was taking these pictures, so I hope it will be a nice surprise for her and Charlotte at Christmas! I have made this cute little short sleeved cardigan several times now and I just love it. 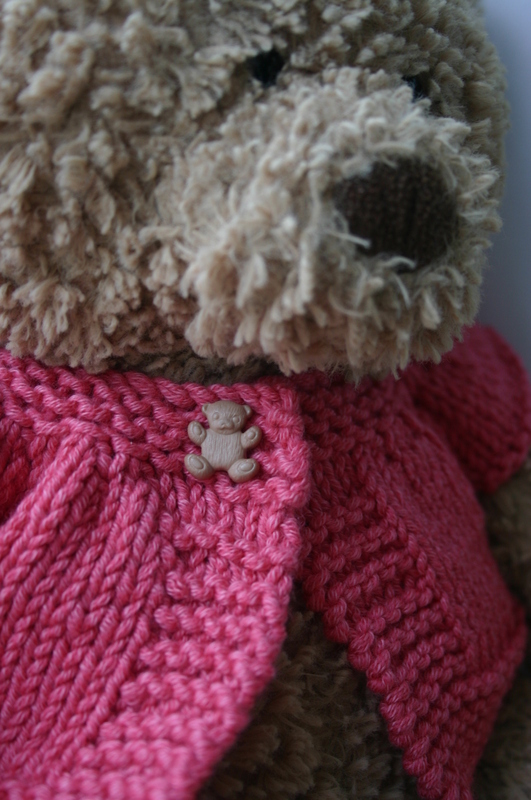 Sometimes I have used thicker ply yarn to make for an older baby, and also used finer yarn as well. 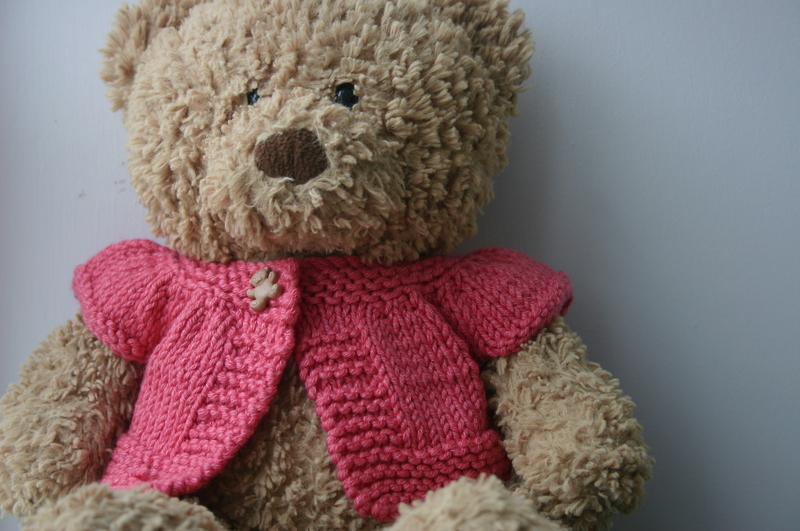 I would recommend this pattern to anyone wanting an easy, super quick to knit pattern. I love the colour you have used to make yours.